FRESNO, Calif. (KFSN) -- From Saturday, April 16th, through Sunday, April 24, the entry fees to all National Parks will be waived; however, camping fees and all other fees will still be applicable. Living in California's Central Valley, we have four fantastic National Parks to choose from -- Yosemite, Kings Canyon, Sequoia, and the newest park Pinnacles. If you can't make it to a park in the next week, there are some other options. From August 25th to 28th, the parks are free for "National Park Service Birthday Weekend." There is also "National Public Lands Day" on September 24th and "Veterans Day" on November 11th. Besides the free days, there are other programs available -- such as free annual passes for current members of the U.S. Military, people with permanent disabilities, or volunteers with over 250 hours of service with (participating) federal agencies. U.S. residents over 62 years of age can get a $10 lifetime senior pass. If you have a 4th grader in your home, then you're in luck. 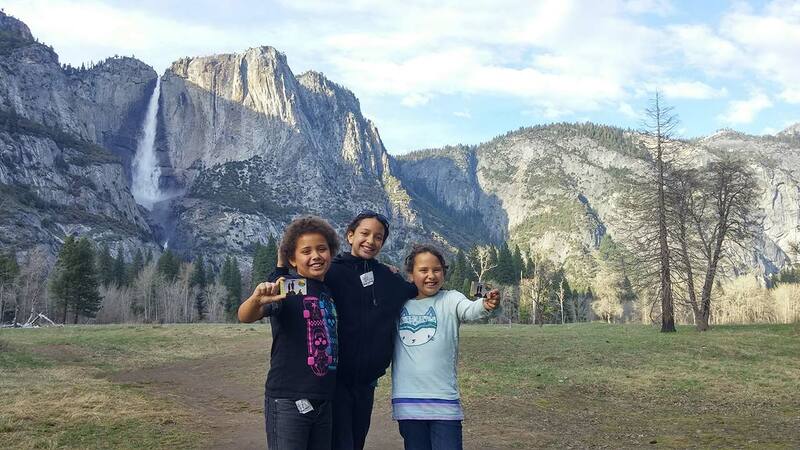 The "Every Kid in a Park" program that allows every 4th grader in the country to get a free pass to all national parks for a year -- from September 1st to August 31st. All your child has to do is visit the everykidinapark.gov website with their parent and follow the simple instructions. The pass is good for the 4th grader, and anyone else who happens to be in the car with them. If none of these options will work for you, and you plan on visiting a national park more than four times this year, then consider the annual pass -- it's just $80 on the National Parks Service website.